It’s a long weekend! And the last thing you want to worry about is slaving away in a hot kitchen. 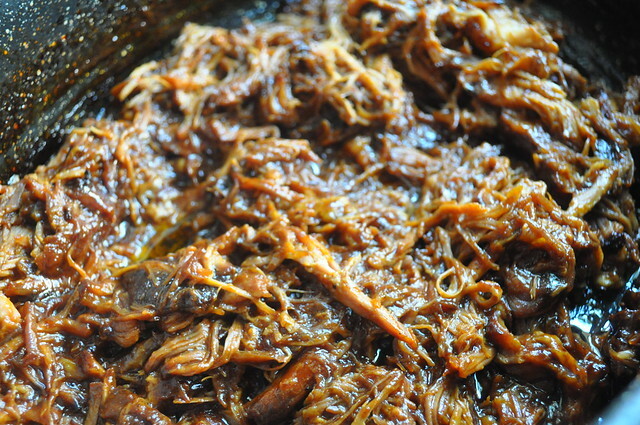 We have a super easy and delectable BBQ Pulled Pork, and the best part? 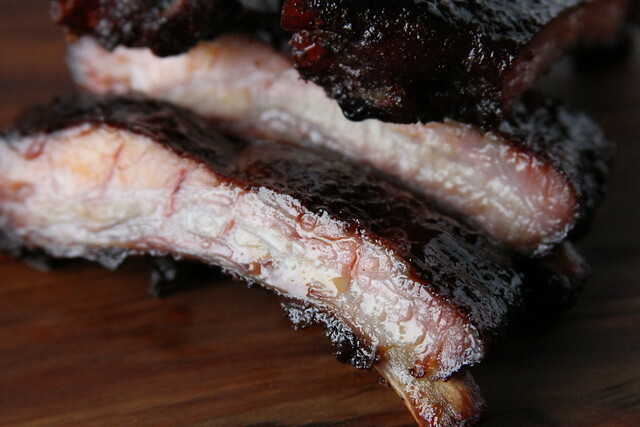 You don’t need an smoker or a grill. All you need is an oven! 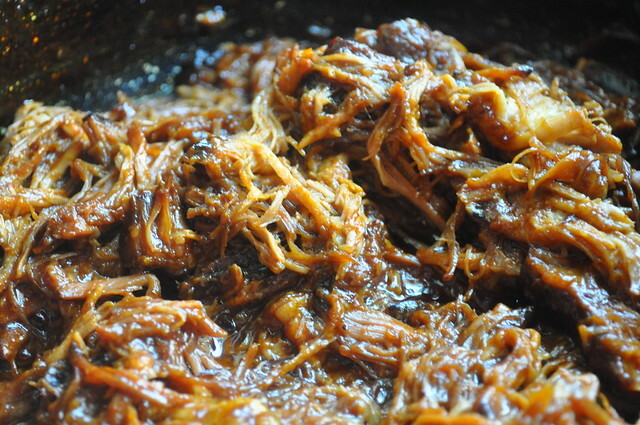 We love BBQ Pulled Pork, and this recipe is great because there isn’t much you have to do. 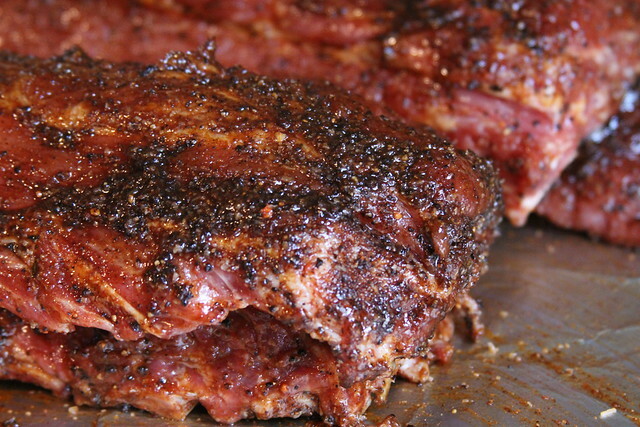 Rub the pork down and cook that bad boy and that’s it. While you party, the oven does virtually all the work for you! 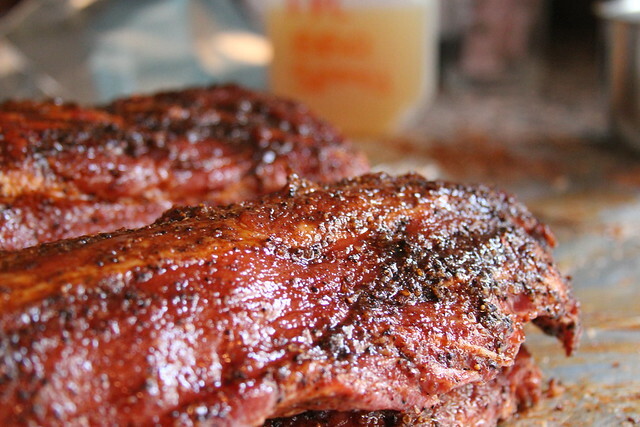 Rinse and dry your dry pork shoulder using paper towels. 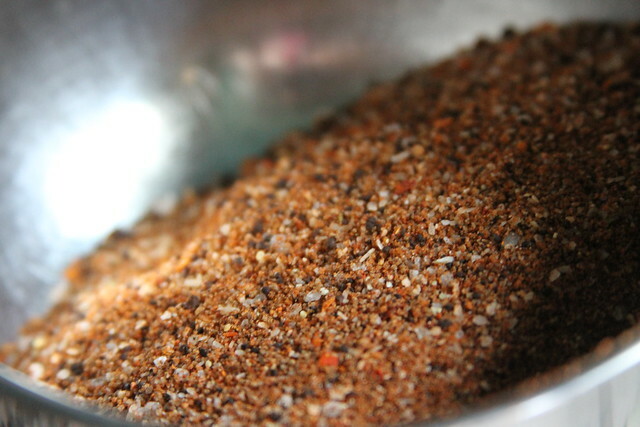 Squeeze your lime over the pork and sprinkle the entire pork with about half the bottle of seasoning and a smidgen of salt. 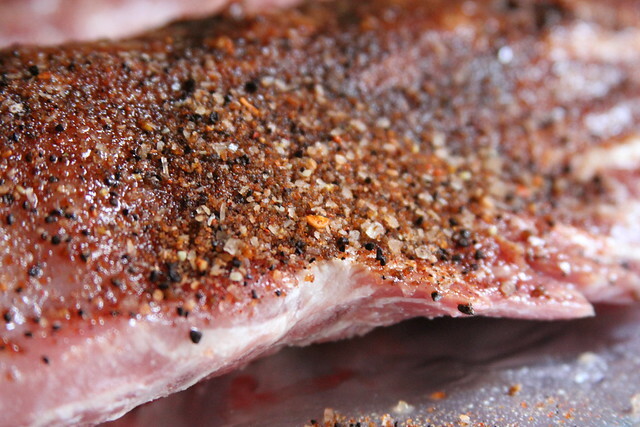 Don’t forget to rub the seasonings into the pork, give the pork a mini massage before you let it sit overnight. Try and let the pork marinade OVERNIGHT to get the most amount of flavor. About an hour before you’re ready to put the pork in the oven, take the pork out and let it come to room temperature. While the oven is heating up, mix together the orange juice and 1 cup of BBQ sauce in a large roasting pan. 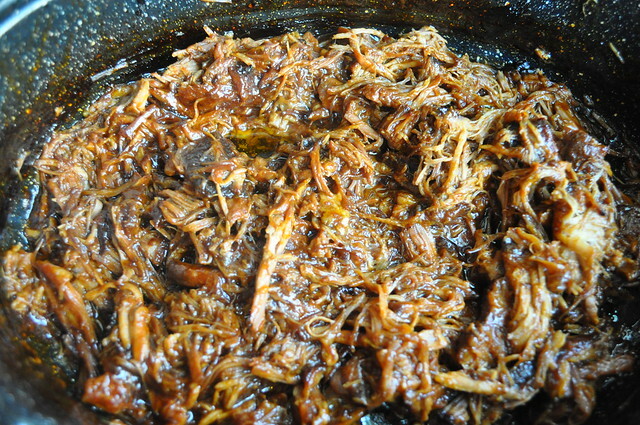 Place the pork shoulder in the roasting pan, and using a brush, brush the pork with the remaining BBQ sauce. Cook the pork in the oven for 20 minutes. 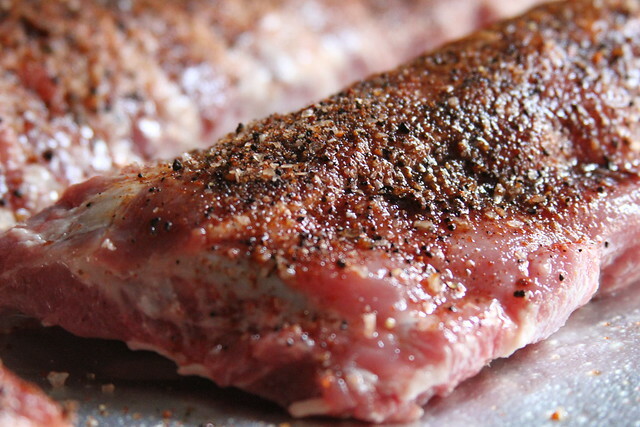 Remove the pork from the oven and turn the heat down to 300°F, and cover the pork. Cook for 5 to 6 hours or until the pork is tender and falling apart. Shred using two forks (or your hands if cool enough) and serve with your favorite BBQ sauce. 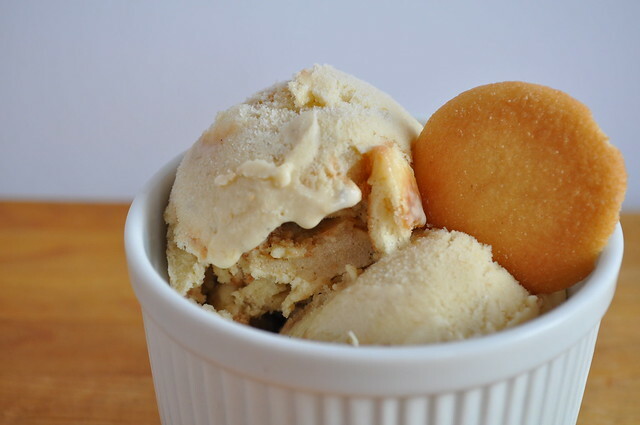 Today’s recipe was inspired by one of our favorite Food Network Chefs, Damaris Phillips. 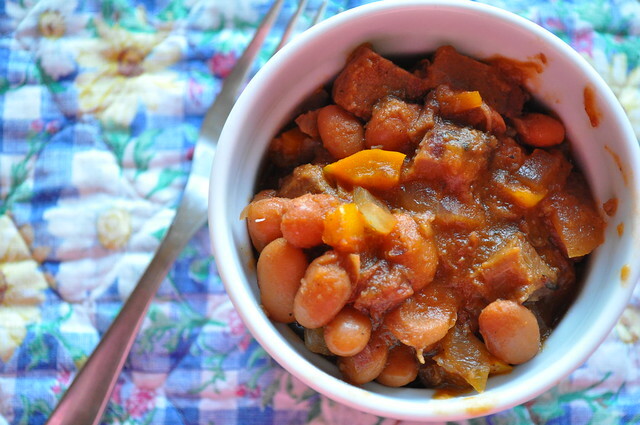 She made these amazing looking baked beans with a strawberry bbq sauce and it looked simple how could we not make our version? We thought making beans would take hours! And we’re sure there are recipes we will try where it will take hours, but this recipe is so simple, everyone can make it! This past weekend we’ve been hosting our good friends Pegi and Beetle for a pork fest! 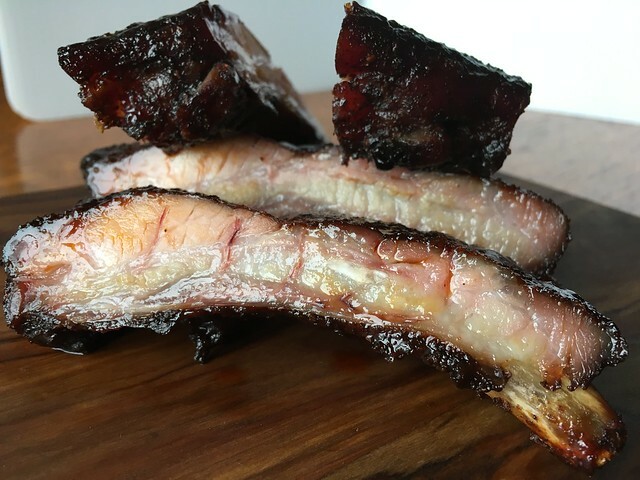 Almost everything we’ve made has had pork or bacon in the dishes. 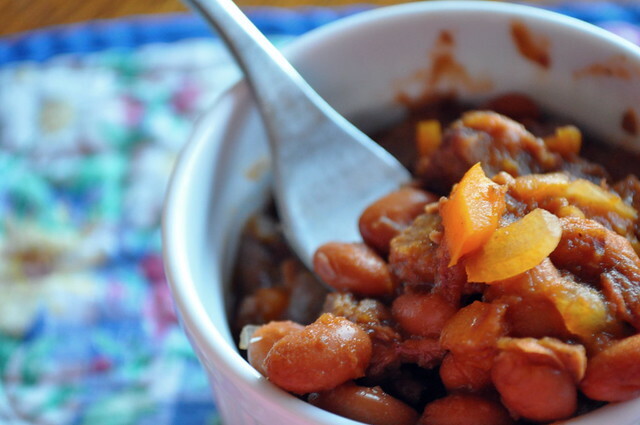 We actually made these cherry chipotle baked beans but instead of brisket, we used bacon. Which, totally works, if you don’t have brisket! 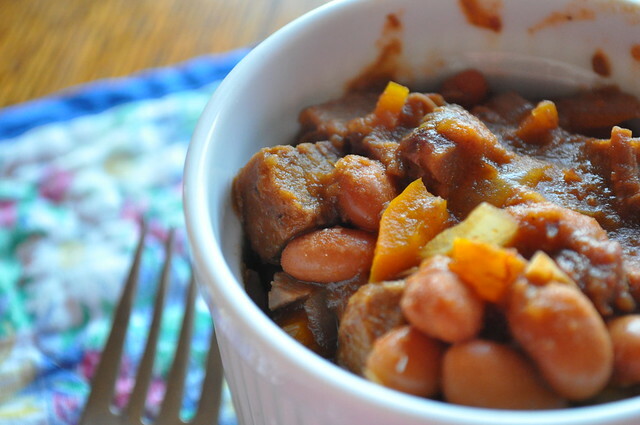 This recipe is perfect for using left over brisket! In a dutch oven, heat one tablespoon of olive oil over medium-high heat. When the oil is hot, add the red pepper and onion and sauté for 2 to 3 minutes. 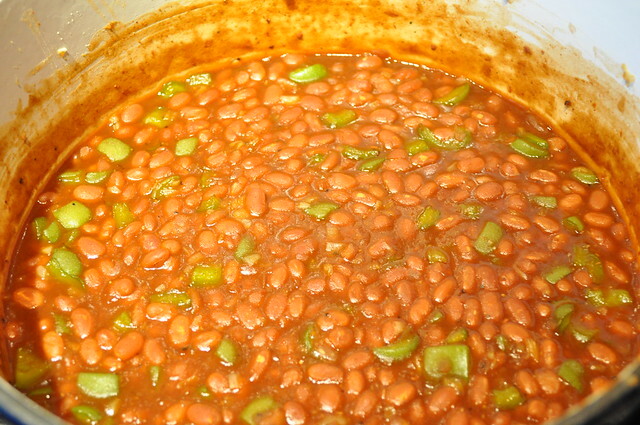 Next, add your your beans and stir. Add the BBQ sauce and brisket and mix well. Lower the heat and cover and cook for 25 to 35 minutes. Stirring occasionally. If needed, add a splash of water to make them extra saucy. Serve and enjoy! We love BBQ sauce. 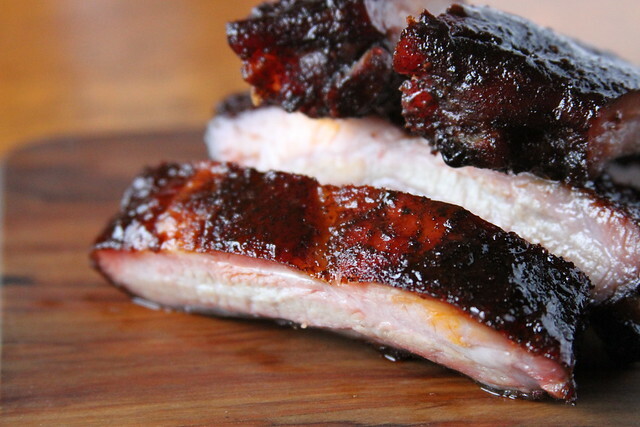 You might say we’re addicted to it, every time we see a new BBQ sauce we end up buying it. We don’t mean to, but we love it! 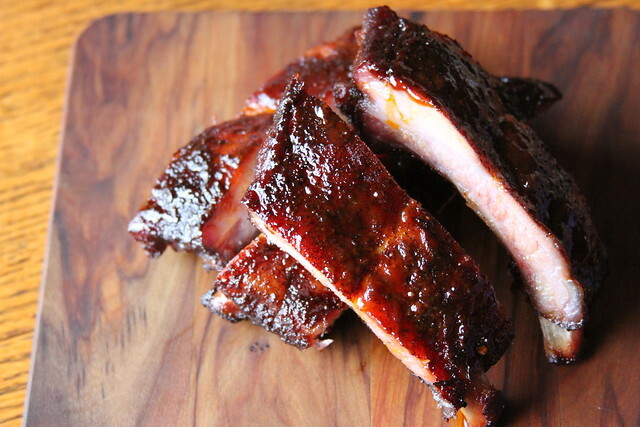 One BBQ sauce we love is from a chain restaurant, called Wood Ranch. 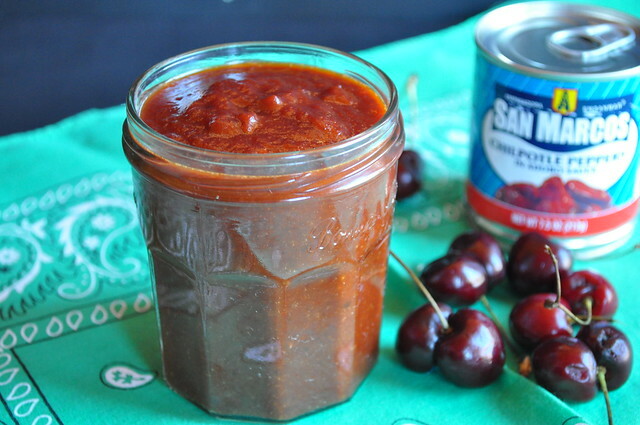 And they have this amazing Cherry Chipotle BBQ sauce and it is to die for. It’s sweet, it’s smokey, and has the most wonderful kick that hits you right at the end. 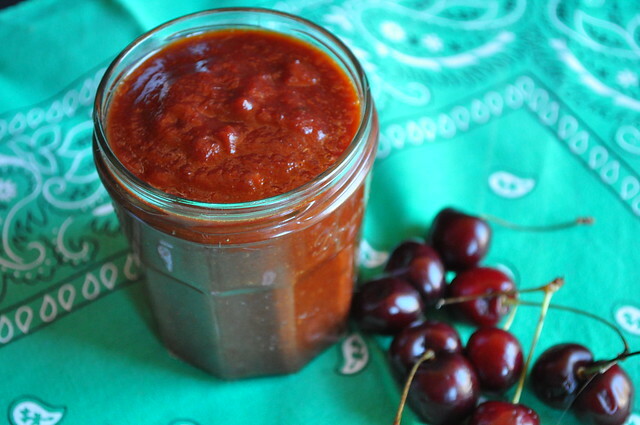 If you’re not a fan of chipotles, you can definitely cut them down and bump up the cherries. 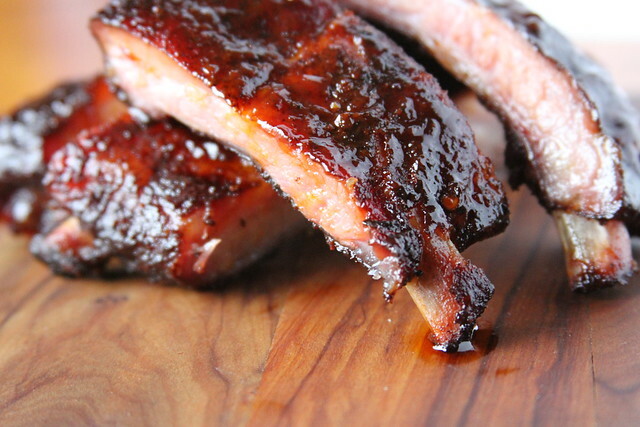 But we promise, this is a great BBQ sauce that almost everyone will love. 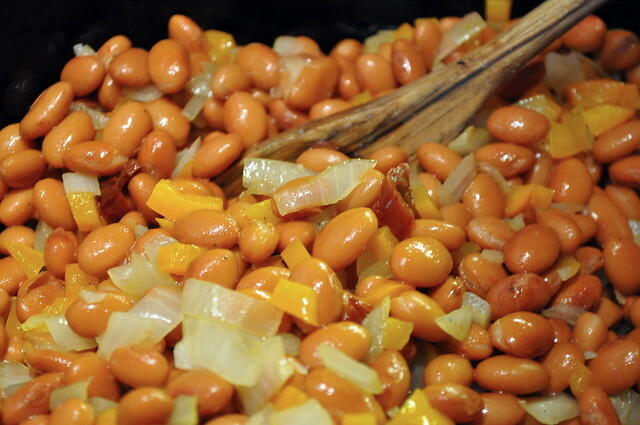 You can use it on ribs, chicken, as a dipping sauce, in baked beans, basically on anything. 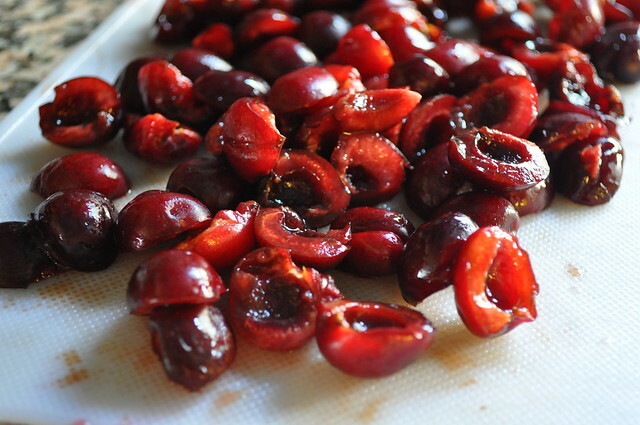 Beautiful fresh cherries, that took FOREVER to cut and pit. 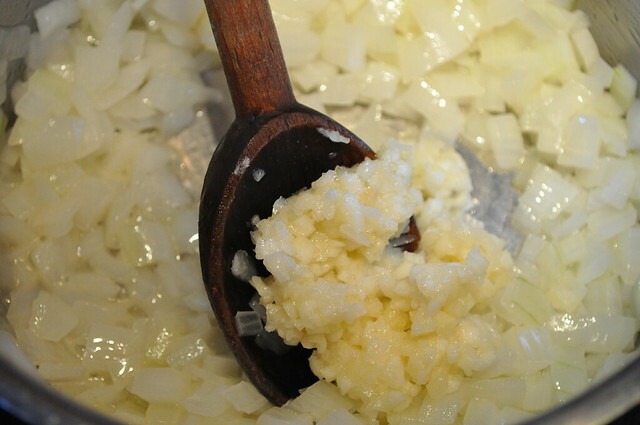 In a medium or large sauce pan, melt the butter over medium-high heat. 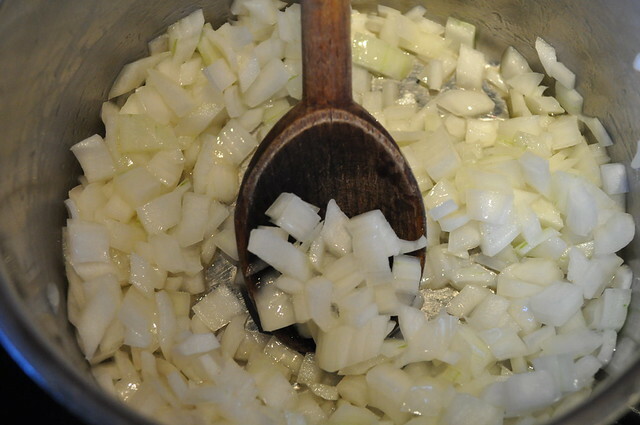 When the butter is hot, add the onions and sauté until translucent. About two to three minutes. Add the chopped garlic and sauté until fragrant. No more than one minute. 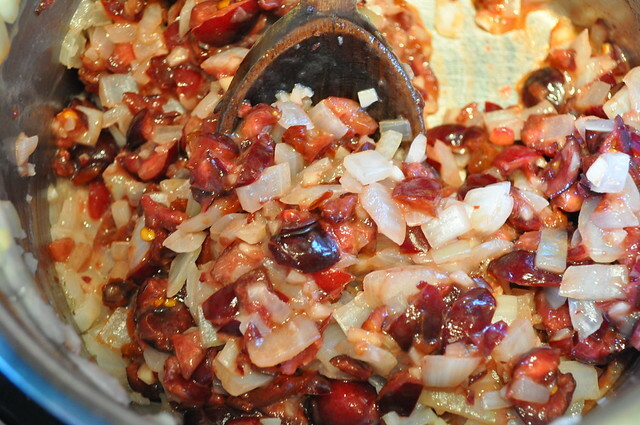 Finally, add the cherries, chipotles, tomato sauce, brown sugar, orange juice, vinegar, agave, corn syrup, dry mustard, adobo sauce, and salt and stir until combined then bring to a boil. 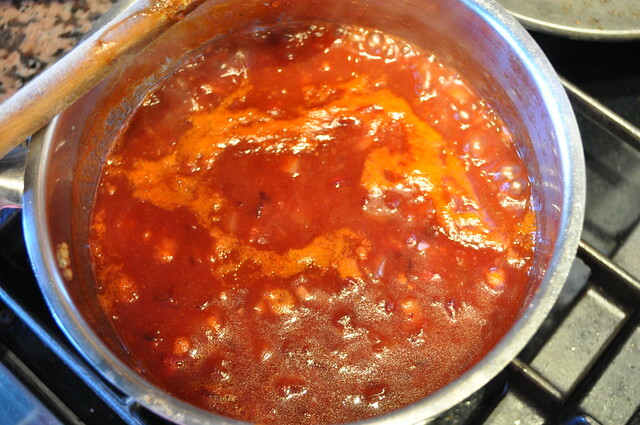 Once the sauce has come to a boil, lower the heat to low and let simmer for 45-50 minutes uncovered and stir occasionally. 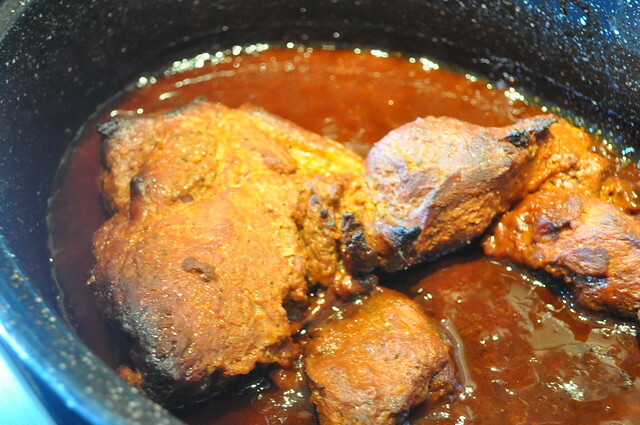 When the sauce has simmered and thicken remove from the heat and let cool for 15 minutes. In batches, transfer to a blender and purée until smooth. Remember to be very careful when blending the sauce! Always use the top of your blender and dish towel to prevent a huge mess! 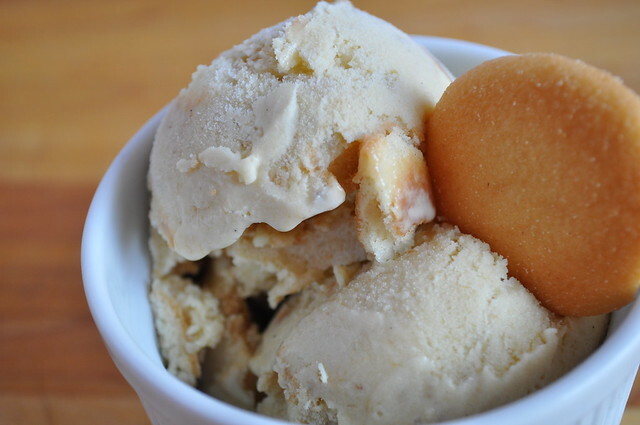 Our recipe has been adapted from Get Me Cooking! 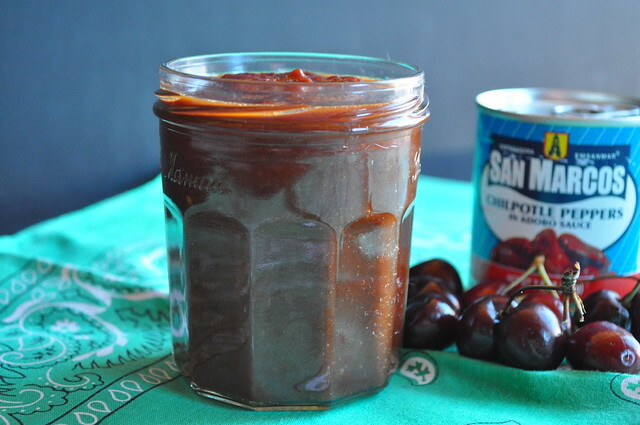 In a pinch and need a quick, simple dessert for your 4th of July BBQ? 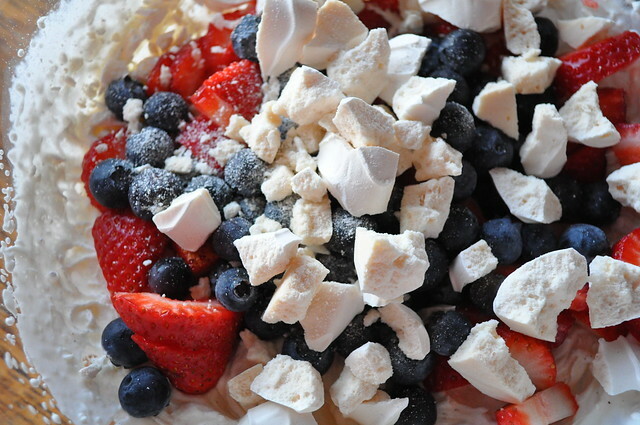 Try our take on a tradition Eton Mess and make it all ‘Murican! 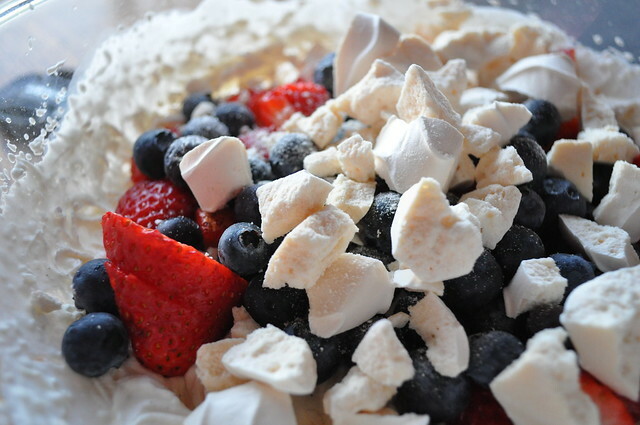 Fresh cream and fruit with the crunch of the meringues make this dish a real winner. No need to suffer in a hot kitchen, this dessert is no bake and made for last minute preparation. In a medium bowl, begin to whip your heavy cream. As it starts to thicken add, the sugar and both extracts. If you’re using a stabilizer, add that before you add the sugars and extract. 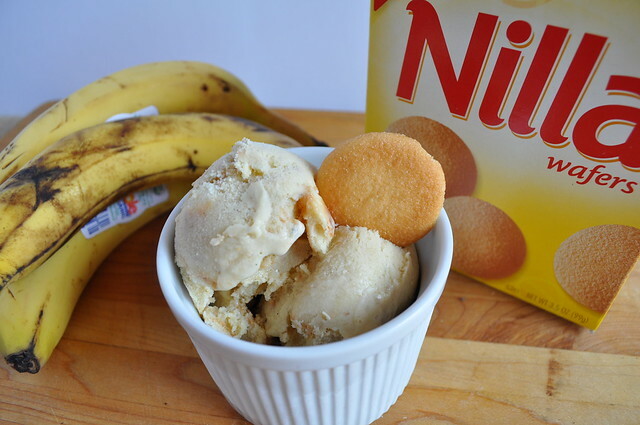 * If you’re not going to serve right away, place the cream in the fridge until you’re ready to use. Right before you’re ready to serve, mix in the berries and crushed meringues. Stir until combined and enjoy.